kandeej.com: YES I'M VERY PREGANT...update! and thank you so much everyone that have posted name ideas! I've seen some really great ones I've never heard of! You look absolutely gorgeous!! Both before and after. You seriously have the most perfect pregnant belly. What's you secret so I can take notes for when I have a baby!? You have a beautiful spirit Kandee!! You look amazing in both photos! You are just too cute! And by the way, I was laughing so hard at the video of you and your sister! Have a lovely weekend! You look absolutely amazing and positively beautiful in both pictures! The one before with your red wig, it reminds me of Rihanna with her long red hair. ha ha ha. It's absolutely amazing! You are SO darling.. I love your pregnant videos and I wish you all the best.. I cannot wait to see your babe when she's born.. your so CUTE.. The video is "unavailable", is anyone else not able to see it? And I want to let you know that you inspired me to start my own blog (oliviabickel.blogspot.com) and I actually mentioned/quoted you in my first post. Thanks for all the love and inspiration! Super cute video, I don't have any name ideas but I'm sure you'll come up with a great one! cant view the video but u look amazing before and even more radiant now. I think a a cute name is Katiery it is my cousins name she is hawaiian. It is pronounced ka-tear-ee. I also love Alina and Laina. Good luck!!! Kandee you are adorable and beautiful!! Love your cupcake belly and all your videos!! I can't wait to meet your new addition!! I'm so excited for you! BIG BELLY HUGS!! Hi Kandee, I tried leaving you a comment on your youtube video but I dont know if it went through or not. You and you baby bump are sooo cute! I would love to hear more things about your pregnancy. Please keep us updated! As for baby names, you could name her Jenna. Thats my name. lol! j/k but that would be pretty cool. If I had a girl I always liked the name Audriana because its different and not a lot of people have that name. I hope you get to feeling better soon! My dear Kandee... U no where look out of shape. You always look great regardless anything...Infact i hope i look as great as you do pregnant when i am pregnant. You are my inspiration to be more than just beautiful on outside but inside more than ever. Thank you Kandee. I wish i could get an email from you this Christmas. Happy holidays kandee. You loook great always. Pronounced "Kuh-lell". I love it. Hope you see this comment!! My daughters name is Nauci Elise, funny I had it picked out when I was like 13. I like unusual names, my middle being La Nelle. So I think you should have whatever awesome name you want. Ps baby is due right before my bday. awww i luv pregnancies. i can't wait to see how ur baby looks like. i would love to see more updates on ur lil cupcake. i think her name should be giselle (from enchanted) elle for short or lucy. I LOVE YOU AND YOU BABY! YOU ARE GORGEOUS!! IM SO HAPPY FOR YOU! GOD BLESS YOUR FAMILY! I would like to see preggo videos! It's pronounced Gabrielle without the "G."
Anything you pick will be great! I found a few very beautiful Native American names. But, Whatever name you give her... She is going to be beautiful and super loved. Where can I get a hello kitty phone case like yours? You are so cute! I love all of your videos and would definitely love to hear all your updates about your pregnancy!!! You look absolutely beautiful, Kandee!!! I love your pregnancy videos. You are beautiful! Keep them up! I really like the name Kylie Violet Johnson for your baby. That name just screams happiness and optimism which suits you and your family so much. Violets are also beautiful flower that can fill a room with such joy and happiness. When I hear that name I just picture a little girl with a smile that can change the world and fill with sunshine. Not only is the name beautiful but its also not a very common name...and why should she have common name when her mom is so unique and special. It just suits you so well! Congratulations on your baby and I wish you have a fast and safe delivery. Good Luck! Oh, Kandee, you look so gorgeous!! Don't feel bad, really. You look so, so beautiful. I think the love you're feeling for this new baby and your other little ones is so, so clear to see on your face. Personally, I'd love to see any video you're willing to share. Your videos are filled with so much joy that they really brighten my day and I really just like watching you talk! I know that could totally sound creepy and stalker-like, which isn't the goal... you just seem to really believe the same things I do- that it's better to spread positivity and happiness if at all possible. So yea- weird food cravings, what pregnancy has done to your hair and skin (interesting makeup/beauty video idea, IMHO), how you're handling the changing sizes of everything... anything you're willing to share would be great! As for baby names... I have no idea! I'd planned to name my baby Katherine before we learned he was a boy. I also like Abigail a lot, but there are so many good names. It's hard to give a person a name that will last a lifetime before you've even met them! Loving the pretty belly. Wishing you the best of luck on your delivery. how about courtlynne channing or enslee!! Kandee you are just adorable. And since you have dubbed your little belly "cupcake" maybe you should name her that. The Spanish word for cupcake is Magdalena. Love and Stuff. You look beautiful - I hope you get a chance to relax over the next few weeks so you are rested when your baby arrives. Best wishes & hugs to you and your kids. keep posting the prego videos!!! they are so cute! So u mentioned a girls name that sounds like Kandee...how about Mandee :) isnt there a song with the name mandee in it? lol. anyway, happy holidays to u and ur cute little family..
Hey Kandee! You look so beautiful!!! I want to see more preggy videos, please make more! Also, I think you should name your baby girl CLAUDIA! That is my name and I must say that I love it because it never seems to get common or over-used and it sounds girly! Love you Kandee!! Georgia is a pretty name! Keep doing updates!! your cute either wayy(: i always watch your videos and try to keep updated with your blog. How about Marilee (meh-ri-lee) or Sarahi (sarah-ee) mine and my sister's name! We <3 you! Can't wait until Cupcake time! I've got a name to throw into the mix, my little cupcake is called Sophy - we didn't like the regular spelling of Sophie - and man she rocks this name, suits her down to the ground! Have you tried just browsing through baby name websites? Good luck finding a name! I hope you have an easy delivery when it comes :) Yay baby belly! Hy Kandee, OMG! I can't believe the way you used to look and you were like 31 or so, right? What an amazing body! hope you'll get it back soon! I so love your videos! You have an amazing personality! So personable. You seem like the type of person who would be easy to be friends with. Congratulations on the video. You are beautiful. The pregnancy has you glowing =) Can't wait to see more videos. I think you should name her Bárbara hehehe or Catarina :P those are my two first names. you are a star KANDEE !! hope you like it, it might be only a few seconds now but I am sure you will be way more famous down the road !! I like the videos!!! do you post pictures from this baby when it's born or not (as your other kids?). I hope you do!! I like the name Avalon!! NO stretch marks!!!! lucky lucky lucky you! i think a name beginning with E - like Evelyn/in or something. baby evi, cute. but then, im english - probably more acceptable in england than US? dont know. you look swell. bless you. name suggestions: czitlalli -seat-la-li or claudia or sarita or charisma. feel better. Kandee, you amazing in EVERY way possible! When I'm down & out, having a bad day, stressed etc... I just watch a few of your videos or read your blogs & I begin to feel better! Your like my own little "mommy time out" :) please post more pregnancy videos, along w/ all the other videos, I just love them all! I have two kids a girl (5) Tallulah, & a boy (17months) Ryker. I think both of their names are beautiful...of course! If I would of had another girl she would have been, Ailey, from Alvin Ailey the wonderful dance company. Can't wait for the next video! You look beautiful Kandee! I don't mind the pretty videos, I think you should do updates if you really want to. I think Isolde and Angelica (Angel) are really pretty names. You probably heard the story of Tristan and Isolde, it is a really sad and a beautiful story. Angelica is an herb, it was used as a medical herb back in the day. I hope you will be able to pick out a beautiful name for your little baby girl. Good luck! Lol, when I was pregnant, everyone talked about how comfortable maternity jeans were, so when I was too big to fit into my regular jeans, I went and bought a maternity pair....Boy were those people insane! They made me itch and made it even harder to breath and just made me feel sick because they were so tight on my belly. I just wanted to take them off and throw them at the people that claimed they were so comfortable. Haha. Still over a month to go, this part seems to drag on forever huh? Lol, Merry Christmas! kandeeee name her Chloë just like mine baby girl :D she's now 8 weeks old!!! and i love her soooo much. and more pregnancy vids please!!!! Hey Kandee! Gosh you are gorgeous! What do you put on your skin to prevent stretch marks?? Just wanted you to know that the love of God is so so evident in your life and it is so wonderful to see his joy coming out in your videos! They are so encouraging and uplifting and I LOVE them! Good luck choosing a name for your precious one! you should soooooo do preggy vids..... love u kanee!!!! My Daughter's name is Aeris....it's from the Final Fantasy VII video game. I just loved it, it's so unique! I looked it up, it means Earth. Variations are Aerith and Eriasu. Hi Kandee. I've never left a comment on a video before, but thought I would to day. My Daughters name Is Serena, and we mostly call her Rina. My name is Alexia, but everyone calls me Lexy. I hope this helps some. Merry Christmas! Oh! I have also called my Goddaughter Cupcake her whole life so I'm partial to that..I think it's cute when you call your baby tummy Cupcake! i know you're looking for names, and I know there's A LOT of ideas out there. My daughter's name is Sailey. I always had a hard time picking out the perfect name for my kids and when they 're born it's like you just look at them and it fits! ;) Sailey is pronounced (say-lee) I love it and it totally fits her and haven't heard that name anywhere.But, there's an Idea. and remember Kandee, you're more beautiful and ever and more special than you know! hehe! Sound familiar?? I think you're the most beautiful pregnant woman I have ever seen! It's greek. I heard it the other day and thought it was really pretty. You should name her azalea (a-ZAYL-yah) or azzy or lea for short i think it is a really pretty name ! How about "Michelle"? Like the beatles' song. Anyhow, Kandee you look so beautiful and shining. I love you! Is that how you looked after 3 kids? you are awesome! I love the name Jazz, but that's just me :) I also like Roxie, and my three cousins have unusual names; Saffron, Jazmin and Willow. If I have a daughter someday, she'll be called Candela. So that's my suggestion to you, the name I would choose for my own daughter. And of course! Videos of pregnant women. I love watching your pregnancy come along! I am jealous!! I loved it! I think you should definitely post more pregnancy update videos. :) you are GLOWING in your videos. Its wonderful to see you so happy and excited! You're beautiful now and always Kandee! Have a wonderful weekend! Can't wait to see mote videos! What about the name Noelle? You're definitely glowing and look amazing!!! I'm sure your baby girl will be so lucky to have such a down to earth and extremely positive mom! Congrats again on your pregnancy!!! I wish you good luck with the baby! Hi Kandee!! Would you please do this Emma Watson look? I think the green eyes and red lip would be great for the holidays. So pretty! My favorite girl names are Blair and Anna. The more unique the better. Odessa is another unique name I like. White christmas wishes to you and your kids. Taven is another name I remembered. Mira and Kyra are a couple of my favorites. This is a great place to look at names. If you go to the social security website they show you the most popular names from last year and many other previous years. hey kandee! im was so happy to hear that you're having a girl! congrats to you and your new child! You should name your baby "Marly" (: haha or spell it differently like Marlie or Marli or Marley orrr Marlee. There are plenty of cool spellings. I don't know how many times people have spelled my name a different way. Only six more weeks!!! Names: Lucinda (lucy! ), Amanda, Daphne, Ella, Elle. Congratulations! I love your blogs. Don't listen to those people calling you fat, you are without a doubt the skinniest pregnant woman I've ever seen. What will the baby's last name be? That's helpful for suggesting the right names. I have an idea for her name, it's nothing creative, but I think It would be cute if her name is Eclaire, like the little sweet thing! but the big surprise was that your due date is on my birthday! I'm a January 14th kid, and i hope your new baby girl will be too. Lord I wish I had a stomach like yours! I might print the picture out and put it on my wall for inspiration! 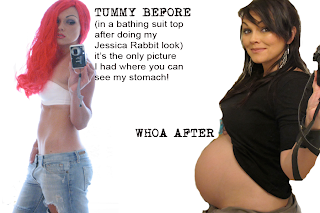 Kandee, I love your pregnancy video and would definitely watch more. So cute! Hope the rest of it goes smoothly for you! so EXCITING!!! I hope she's born Jan 14 because that's my birthday too! I love all your videos, you're beautiful from the inside out and that's so rare to see these days! I personally would love if you posted pregnancy videos. I'm hoping to have a baby soon myself and it would definitely help me out. Not to mention pretty much any video you do i would watch. As for names. I can tell you my favorites but I'm weird so yeah! Baby Names: Abigail, Maria, Tara, Isabella, Jennifer, Marisa, Shannon. I LOVE YOUR PREGNANCY VIDEOS! I'm also pregnant and also expecting a little girl:) So it's nice to see what to expect, since it is my first, and I'm halfway there:) Thank you for all of your videos and inspiration! I love Lauren (as in Lauren Bacall), Poppy and Rose. I am from Ireland and I love Blathnaid also spelt Blanaid -this is an ancient Irish name, it even appears in legend, and means flower. I would pronounce it "Blah"- (there is a kind of lilting sigh to it) "neid". Aoife is wonderful too, it means beauty and joy. I would pronounce it "EEE"-"Feh". There are a few websites about Irish names - one is called www. babynamesofireland.com and it does pronunciations! You are really beautiful before, now and after. You look so young and your make up tutorials are really nice. Kandee, I love your "preggy-videos!" I read both your blogs every morning with a cup of tea - haha you're part of my wake-up routine! You are beautiful and glowing with that little tummy munchkin growing inside of you. I think you should do a "healthy, natural, pregnancy glow" makeup tutorial haha. Good luck picking a name! My little girl's name is Winter Eden. Personally i like Ivy the best! Harmony is such sweet name. Have you done any videos about your thoughts on "wrinkle" remover products? Just curious. Hope you are feeling better. What about "Shay" or "Shalom"? Ariellah. Like Ariel, but with a "la" at the end! Always thought it was beautiful. Oops! Forgot to post the meaning! Ariellah means "Messenger of God" in Hebrew! I think you look beautiful and would be very interested in watching other pregnancy videos! HOT MAMA! You're gorgeous before and after!!! You look amazing pregnant! I have never commented before, but was really excited to today!! Kandee I think anything you do whether it's pregg vids or make up vids or even update vids...we dont really care as long as its something from you!!! I'm get happy just seeing any video of urs even if i can relate or not!!! That's just how much you rock!! Quinn Bristol is a favorite of mine but good luck naming your Beautiful baby girl!!! Congrats to you & your family on the impending arrival of your sweet baby girl. :) I enjoy all of your videos; make-up or otherwise. You are truly a joy to watch! My name suggestions are: Paisly, Piper, Quinne, or Brecklin. Hope you have a great day and that you have great holidays! Use a family name! Maybe one of your grandmas or great grandma! I have heard the name Ava, Arianna. I also think Evie is really cute for a girls name as well. I also think that the name Megan is cute. I am a new Avon representative and am looking for online customers. 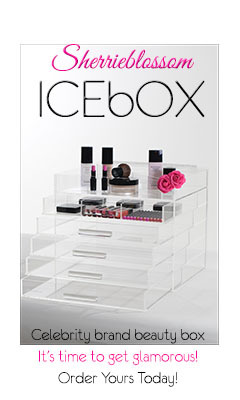 Avon is not just makeup, but it has a great selection of makeup and hair products too! Buy from Campaign 26 now just in time for Christmas and receive 8% off of your final order and shipping is free right to your door for purchases of $30 or more! you're great Kandee!!! love your makeup tutorials... im a cosmetology student and i'm obsessed with you!! sorry if thats weird haha... and i love the pregnancy videos!! I think you are just the cutest!!! Love all your videos...You are definitely someone I would enjoy being friends with! Just do what you do girl...let your heart be your guide. Oh and I could see you with a little girl named Bella. She will be just as beautiful as you, I am sure. I have two name ideas for you......Cheyanne and Savhanna. I was going to use one of those names for my kids but.....I had ALL BOYS!!!! Four boys and never got to use my girl names :( oh well I am pretty proud of my boys and they have some great names to LOL. You are such an inspiration. How about the names Hope, Destiny or Faith? I just love you!! You're too cute :)! How about Brielle, Summer, Quinn, Sawyer, Lacey, Peyton, or Aubrey for baby? Karma, Phillipa (Pippa for short), Amberlee, Kamee, Angeline, I'm feeling these names for you. Have a wonderful delivery! !